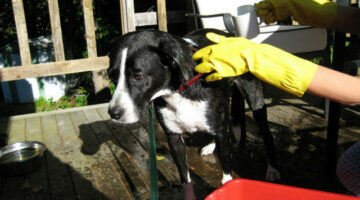 We aim to answer all of your DIY dog grooming and cleaning questions! 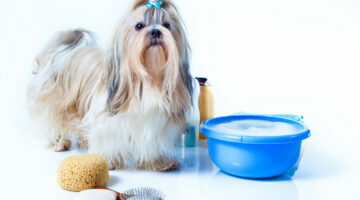 These dog grooming tutorials will show you how to do everything yourself -- step by step -- including how to trim your dog nails, clean your dog ears, brush your dog's teeth, give your dog a bath, brush your dog's coat, and more! Plus DIY methods for dealing with pet shedding, stains, and odors in order to keep your entire house clean. Not sure where to begin? 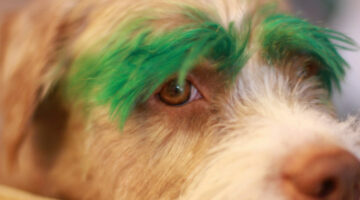 Start here --> DIY Dog Grooming 101. A Shih Tzu has big eyes and a shortened face. 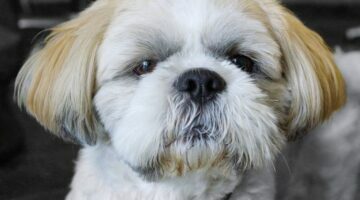 These 2 things that make a Shih Tzu puppy adorable can also lead to health problems for Shih Tzus. Their bulging eyes are especially prone to eye diseases and infections. 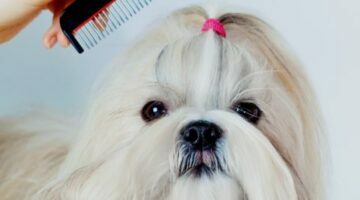 Here’s how to clean Shih Tzu eyes, signs of Shih Tzu eye problems, and how to remove Shih Tzu tear stains. 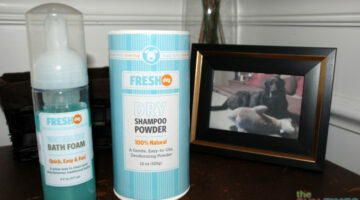 If you decide to groom your dog yourself, using the right tools can make all the difference! You may be tempted to save money by getting cheap dog grooming tools from Walmart, but I’m speaking from experience when I say that it really is worth it to buy quality dog grooming tools that have been proven to work well on this breed from the beginning. 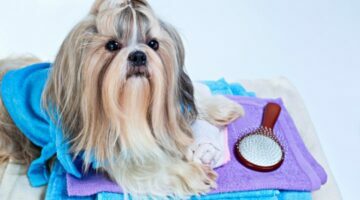 Here are 3 Shih Tzu grooming tools you will need to clip, brush, and comb your dog at home. 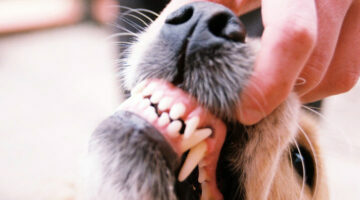 Trimming Dog Nails: 15 Reasons To Trim Your Dog’s Nails NOW! 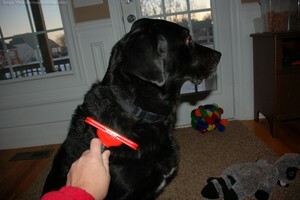 After using the original yellow handled Furminator dog brush, I recently got a new Furminator deshedding tool. 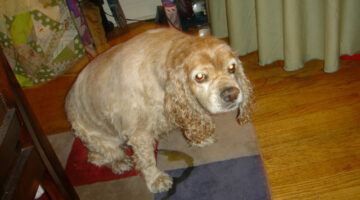 This one is the giant size, red handled Furminator. It’s larger, more ergonomic, and it has a FURejector button to easily remove the pet hair that’s been collected in the teeth of the brush itself. 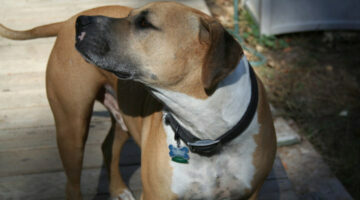 Video & Tips For Cleaning Dog Ears… The Right Way! 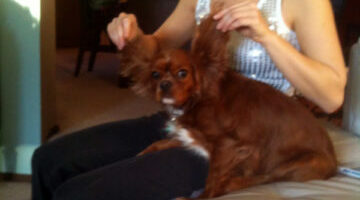 If your dog has stinky, itchy or dirty ears, then you’re going to love this video and tips for cleaning dog ears! If you want to groom your dog yourself at home, rather than paying a dog groomer, this video shows you which tools you need and how to properly use each of them. Going to be trimming your dog’s nails soon? 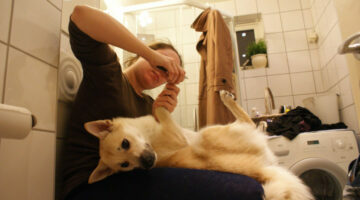 This video has some great tips for getting your dog used to a nail trim. 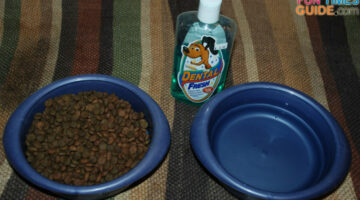 Plus step-by-step directions on how to trim a dog’s nails.